Urban agriculture during my baby boomer childhood in New York City, when postwar agricultural production became increasingly industrialized, amounted to simple school projects like rooting an avocado pit or a potato in the base of a sawn off milk carton. Today, however, we have home food production, urban farming, productive gardens, or whatever else you might want to call this movement - and it's hot. 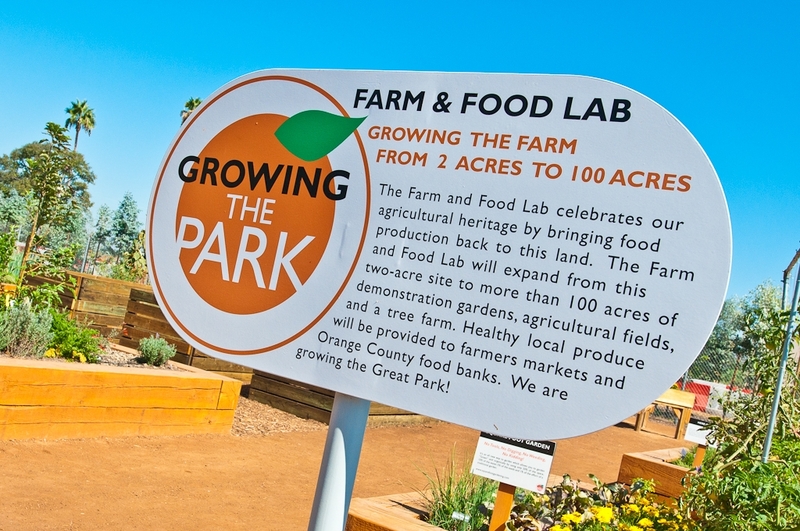 We are now witnessing an amazing convergence between the 1970s-era urban community garden movement pioneered by Liz Christy in New York and Alice Waters' pioneering and influential fresh food efforts in the San Francisco Bay Area. Liz Christy Community Garden. Photograph by Donald Loggins, courtesy the Liz Christy Community Garden. Indeed, you know we've reached a tipping point - the Liz Christy Community Garden has recently been listed in the National Register of Historic Places and the key part of a sales pitch for a proposed new luxury Manhattan high-rise is "vegetative roofs" that the architect has included to "integrate sustainability and gardens." The last time urban horticulture was this popular was during World War II when nearly 20 million Americans planted Victory Gardens to provide for their families and those at war -- accounting for 44% of the fresh vegetables produced in the US. If buying War bonds was a patriotic investment, having a Victory Garden in your front yard was an overt patriotic display. And, not only was this American pastime productive, it kept one in shape. 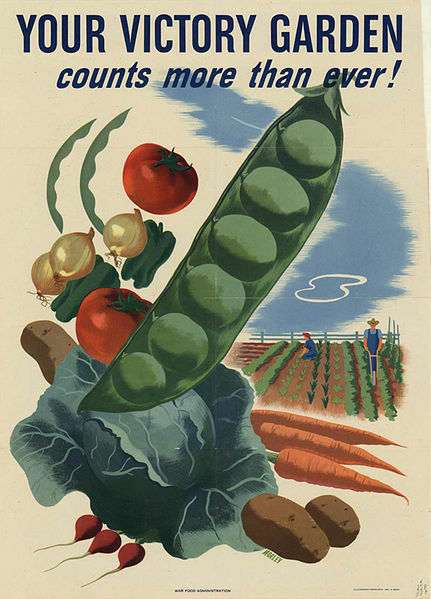 Victory garden poster, World War II, 1945. US Agriculture Department. War Food Administration. Could this precedent have motivated First Lady Michelle Obama in 2009 to plant her first garden on the White House grounds as a way to urge people to eat better, and to get outside and be active? 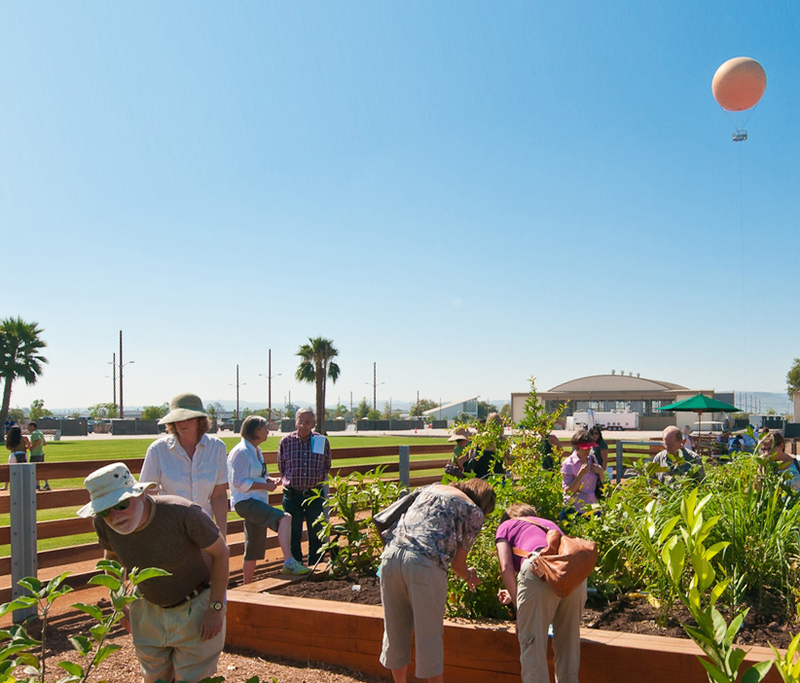 To understand what's happening now, it's important to know that community gardens stem from the school garden movement, an early 20th century initiative that aimed to transform blighted urban environments. 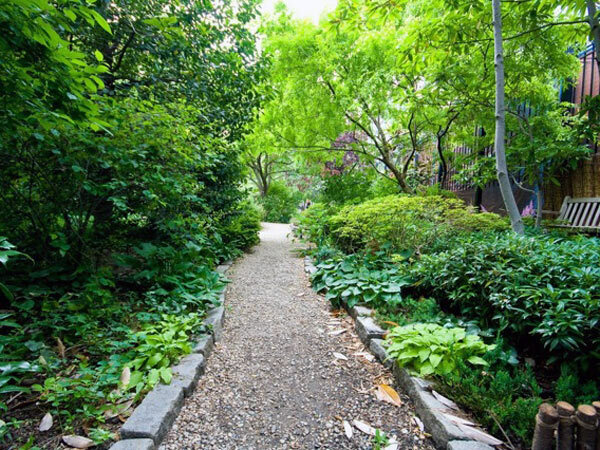 The unsung leader of the movement is Frances "Fannie" Griscom Parsons (1850-1923), who created the first such children's garden in a section of New York City's West side famously dubbed "Hell's Kitchen." Her advocacy influenced municipal planning so that new parks often featured productive gardens along with the usual complement of civic Beaux Arts pavilions, bathhouses, and play apparatus. According to Marie Warsh, historian at the Central Park Conservancy, "In 1906, there were over 75,000 of these gardens across the country, created primarily in urban schoolyards, but also in parks, vacant lots, and backyards." The Children's Farm Gardens at DeWitt Clinton Park. Photograph from The New York City Department of Parks, Report for the year 1902. Looking back at these vernacular landscape features, what is perhaps most intriguing is that they were built in neighborhoods in dire need of renewal, often planned in concert with community advocates and landscape architects like Samuel Parsons, Jr., in New York, Jens Jensen in Chicago, and the Olmsted firm in Boston. So are community advocates, landscape architects and horticulturists bringing back the agropolis? I've been delving into this issue in preparation for a forthcoming conference in Philadelphia on May 17th titled Civic Horticulture ... and I have to say, yes. The conference is co-organized with the Pennsylvania Horticultural Society (PHS), which has helped Philadelphia become a leader in civic horticulture, a concept that encompasses urban planning, productive gardens, design, health and welfare and many other issues (for example, according to PHS, Philadelphia's City Harvest project works with inmates teaching them to grow vegetable seedlings. 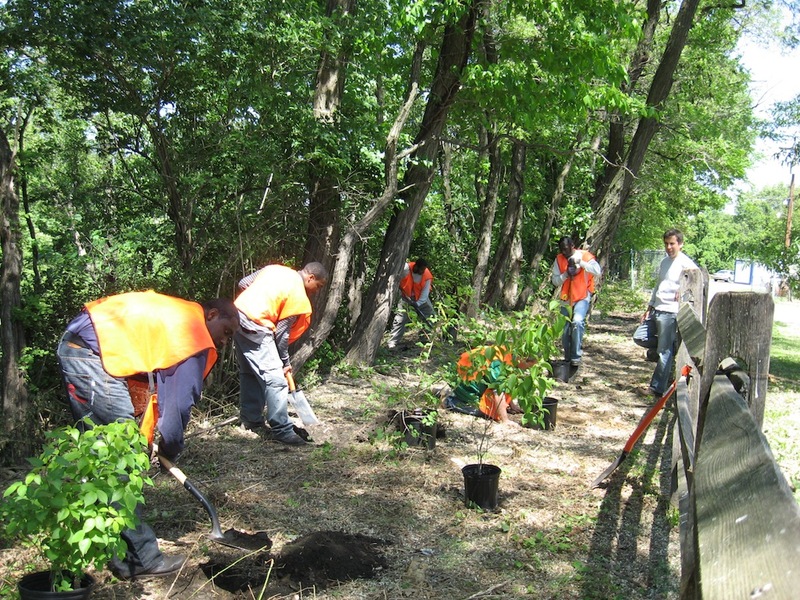 In its first year, 12 of the program's 18 participants secured jobs following incarceration). Participants in Philadelphia's City Harvest program. Photograph courtesy the Pennsylvania Historical Society. As landscape architect Mia Lehrer, one of the conference participants and someone who has worked on many innovative West Coast projects with deep community roots, noted: "Urban agriculture is a complex story that is not only about gardens, but is also dependent upon scale, the urban environment, distribution systems, policy, and partnerships." And, it has implications. Orange County Great Park. Photography courtesy Mia Lehrer + Associates. Lehrer, citing research published in the February 2010 Journal of the American Medical Association, says the policy implications could affect, "The rate at which US children are contracting chronic health conditions due to obesity and other risk factors," which she notes, "doubled from 12.8 percent in 1994 to 26.6 percent in 2006," due to industrialization and urbanization. The concern about health, nutrition and locally sourced food has certainly resulted in the proliferation of neighborhood farmer's markets. Moreover, says Lehrer, "Los Angeles, San Francisco, and Detroit, to name a few, have adopted citywide food policies, everything from the regional food distribution system to zoning regulations regarding backyards chickens coops is being evaluated." 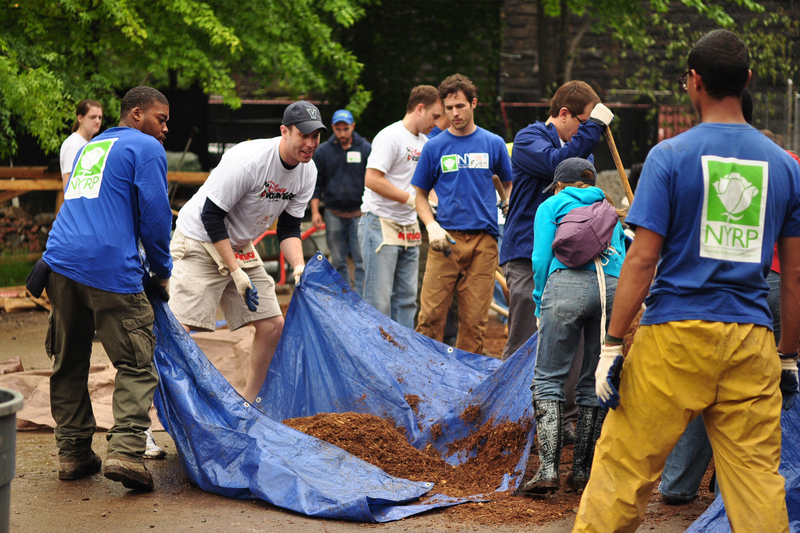 Volunteers working on construction of the 103rd Street Community garden in New York City. Photograph courtesy SCAPE. 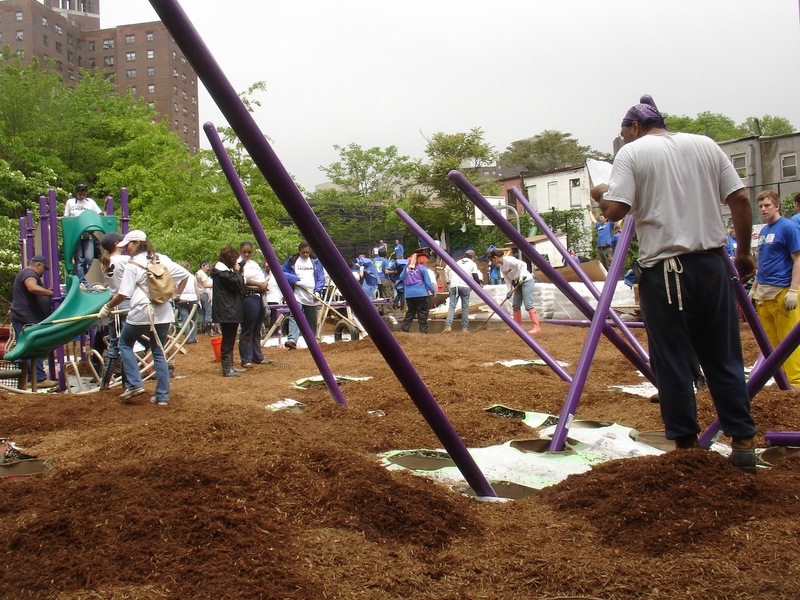 In New York, Elena Brescia at SCAPE/LANDSCAPE ARCHITECTURE PLLC designed the 103rd Street Community garden, in a partnership with the New York Restoration Project, employing many of the same programmatic goals found in parks created a century earlier. Brescia cites various features, she says, "from a rainwater barrel that supports community based agriculture, to cultivated plots, to play spaces and the accommodation of very different needs, ages, and activities in a very small space that have catalyzed the revitalization of the block and neighborhood." An important point she adds is that, "The park was in part conceptualized to be built by and was largely executed by local volunteers." 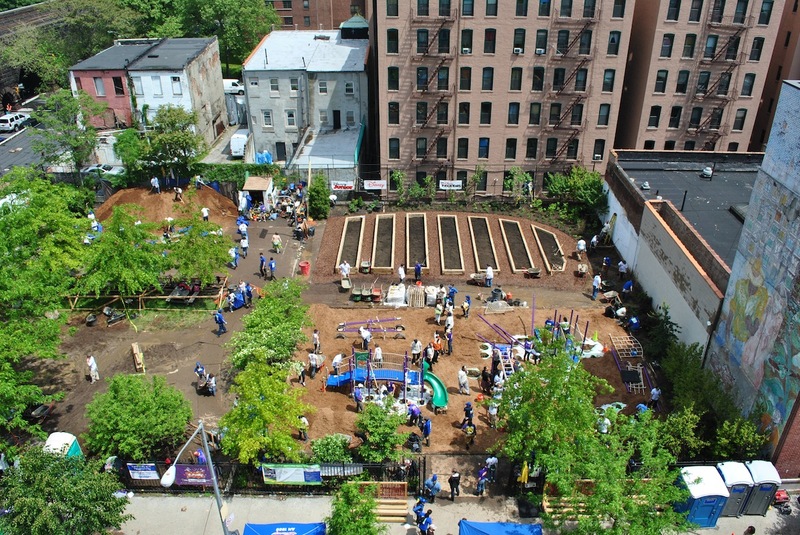 Volunteers working on construction of the playground at the 103rd Street Community garden in New York City. Photograph courtesy SCAPE. Landscape architect Thomas Woltz from Nelson Byrd Woltz, who has a exceptional understanding of ecological issues, explained his interests in productive gardens: "When studying designed gardens and urban landscapes through the lens of civic horticulture, the word productive can take on meaning far beyond vegetables." He continued, "Management methods, plant choices and design goals can establish new definitions of productive in the civic realm that blend concepts of the garden, agriculture and restoration ecology." 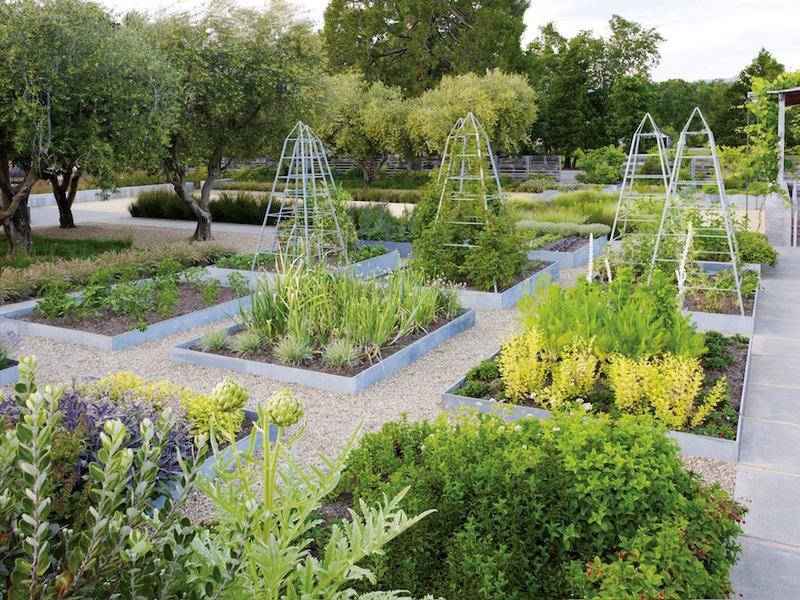 Productive garden at the Medlock Ames Tasting Room, Alexander Valley, CA, designed by Nelson Byrd Woltz. Photograph © Marion Brenner. Given this complexity, James Lima, who runs an advisory firm focused on investments in the public realm and structuring public-private partnerships, wonders: "What public policy issues are raised by this fairly recent proliferation of productive civic landscapes? What lessons have been learned to inform shifts in economic, social, environmental, land use and educational policies at the federal, state and local levels?" The movement that began with Frannie, and continued with Liz and Alice and more recently with Michelle, is transforming urban centers large and small (this week South Rome, GA hopes to site a new community garden). But, as we can see from the breadth of projects in the civic realm, it is more than parks and gardens - it is transformational expressions that reclaim, heal, interpret and make productive once blighted neighborhoods, abandoned shopping malls, parking lots and unused roof tops.